Magazine cover dates to a period when women’s suffrage and socialism were commingling in productive new ways. Here, women's oppression within the home by husbands is linked to "man-made law" enacted without enfranchisement. As with other Braverman images, women appear as heroic figures contained by multiple social forces. Later Braverman created works for the Federal Art Project, including a work held by the New Deal Gallery at Mt. Morris: "Down and Out" (1937). He had a great interest in films, during the 1940s working upon an authorized biography of the director D.W. Griffith that never was published. He lived the last years of his life in St. Paul, MN. 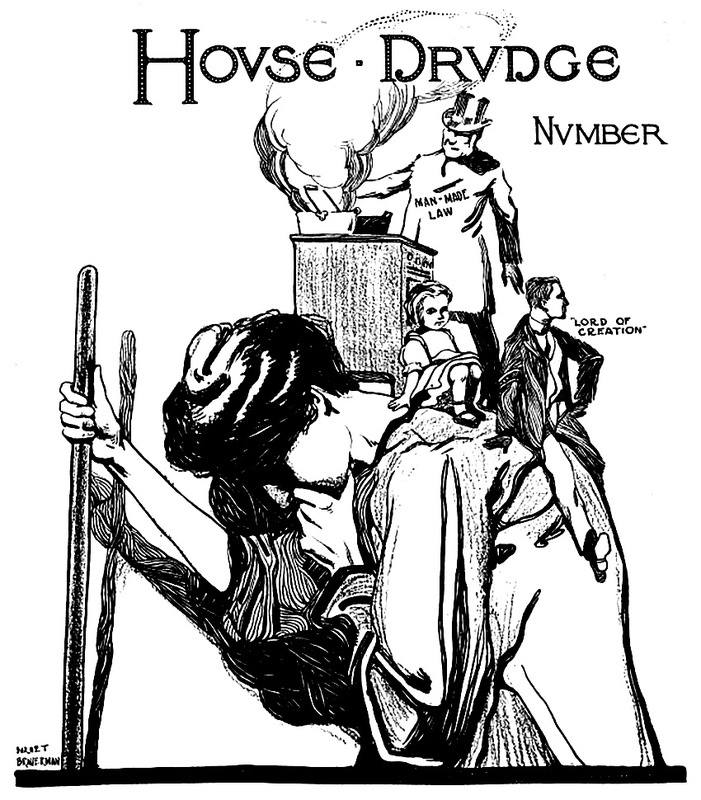 Braverman, Barnet (1888-1965), “House Drudge,” OpenValley, accessed April 24, 2019, https://openvalley.org/items/show/919.